These offers are exclusively to Emma’s diary parents to-be and new parents. Due to the date that you first joined Emma’s Diary, you may find that this information is reaching you, at various stages of your pregnancy and beyond. It may be from as early as 7 months pregnant, or as late as your baby reaching the ripe old age of 3 months. Many of you will already have your little bundles of joy and may have missed the first key stage photoshoot, so with that in mind, we have carefully selected a range of offers that can be taken as a package or as a single visit to the studio. Each session will typically last between 60-90 minutes, with the exception of Newborn sessions. These may be a little longer: because nobody including photographers can rush a hungry or sleepy newborn! Our warm welcoming studio is based in Elland, so we are central for all the surrounding areas of Halifax, Huddersfield and Brighouse. Celebrate your pregnancy with our free photography offer brought to you in association with your pregnancy guide. At this truly wonderful time in your life as you prepare for the arrival of a new son or daughter, there is no better way to record the moment than through professional photography. 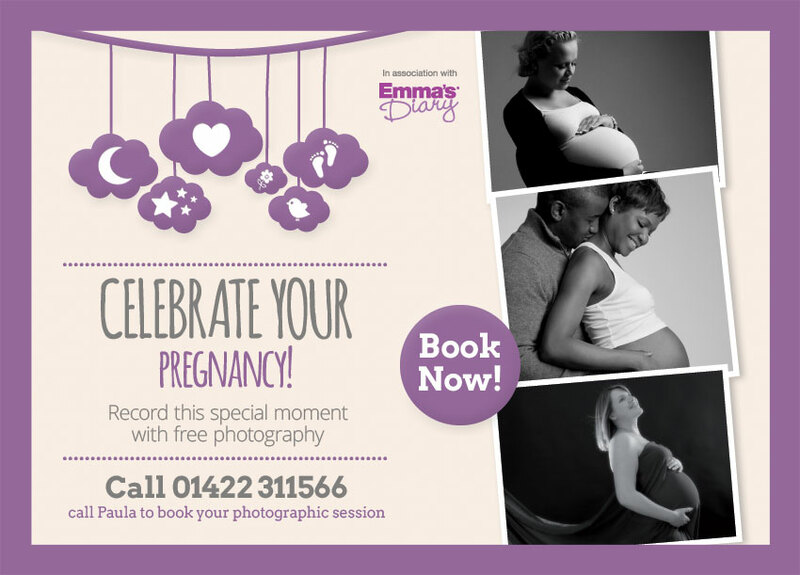 As your local authorised Emma’s Diary photographer, we are excited to be able to invite you to visit us here at our studio for a free pregnancy photography session where we will spend time creating stunning images in a relaxed environment. We recommend that this takes place when you are at least 7 months pregnant at a time where you (and your bump) will be looking and feeling your best. This exclusive invitation also comes with the bonus of a subsequent session once your little bundle of joy has arrived. The images created from both sessions are then shown to you at one viewing appointment. Register NOW for your free pregnancy session, free new-born session and FREE photographic gift worth up to £140. 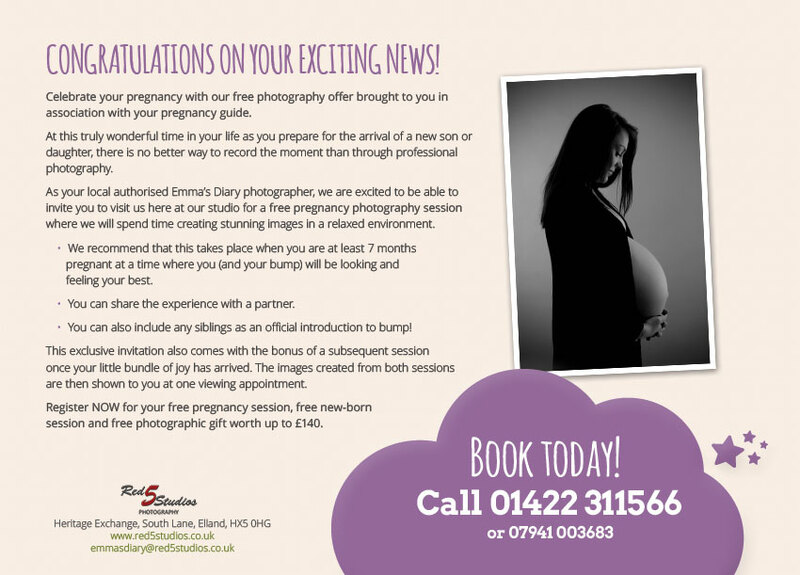 Celebrate your new arrival with our free photography offer brought to you in association with your pregnancy guide. You are now the proud parent of your beautiful baby son or daughter and it won’t be long before they start growing. There is no better way to record these magical moments than through professional photography. As your local authorised Emma’s Diary photographer, we are excited to be able to visit you in the comfort of your own home for a free baby photography session where we will spend time creating stunning images in a relaxed environment. We recommend that this takes place as soon after birth as possible. There will be plenty of time for feeding and cuddles when required. You can also include any siblings as an official introduction to their new baby brother or sister! This exclusive invitation also comes with the bonus of subsequent sessions as your baby becomes a tiny person! 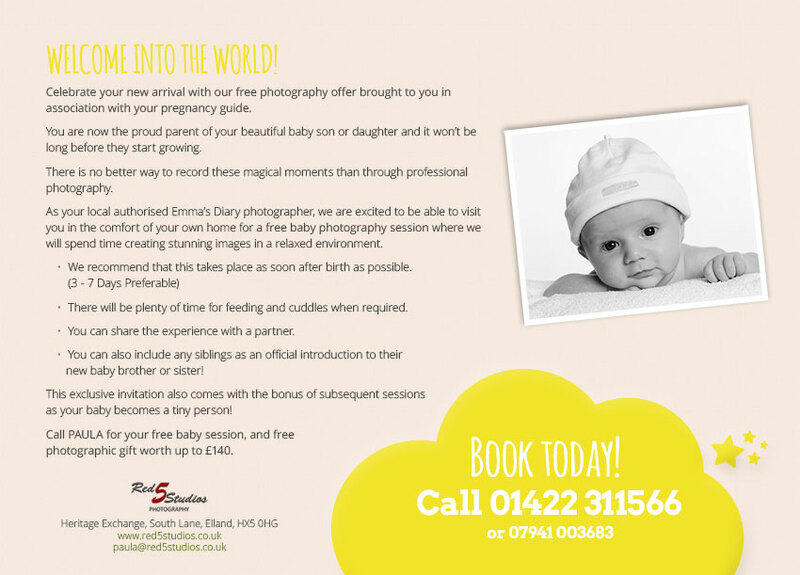 Call PAULA for your free baby session, and free photographic gift worth up to £140. 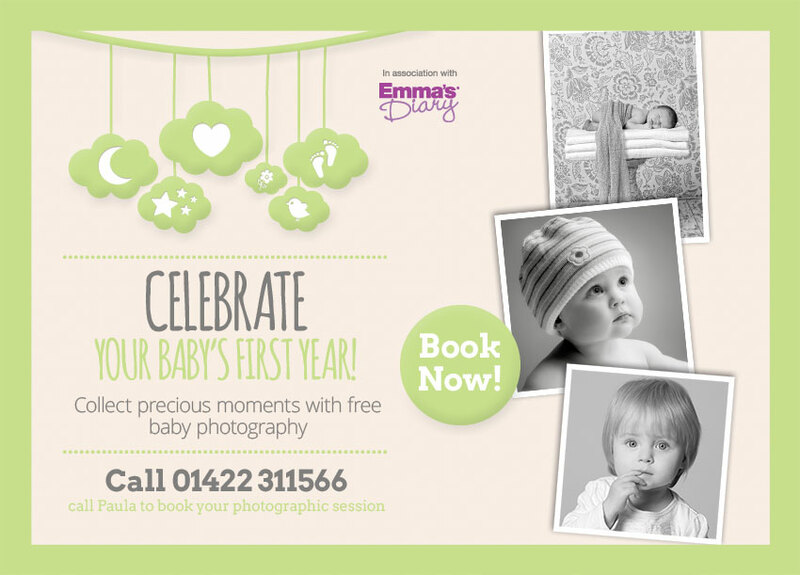 Celebrate your baby’s personality with our free photography offer brought to you in association with Emma’s Diary. At this stage your beautiful son or daughter has their own character and will be showing this through movement and expression. There is no better way to record these magical and often comical moments than through professional photography. 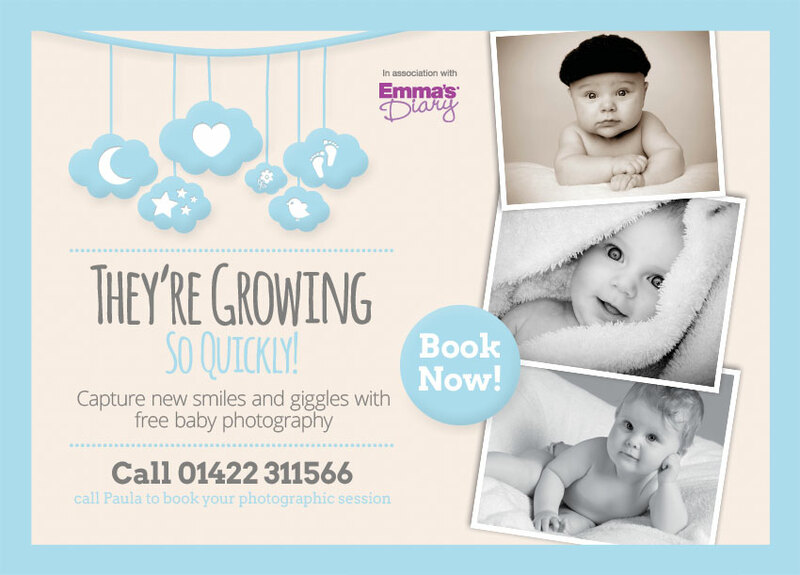 As your local authorised Emma’s Diary photographer, we are excited to be able to invite you to visit us here at our studio for a free baby photography session where we will spend time creating stunning images in a relaxed environment. We recommend that this takes place between 3 to 6 months. You can share the experience with a partner and include any brothers or sisters. We encourage you to bring along their favourite toys or perhaps a special blanket. This exclusive invitation also comes with the bonus of a subsequent session to celebrate your baby’s first birthday! 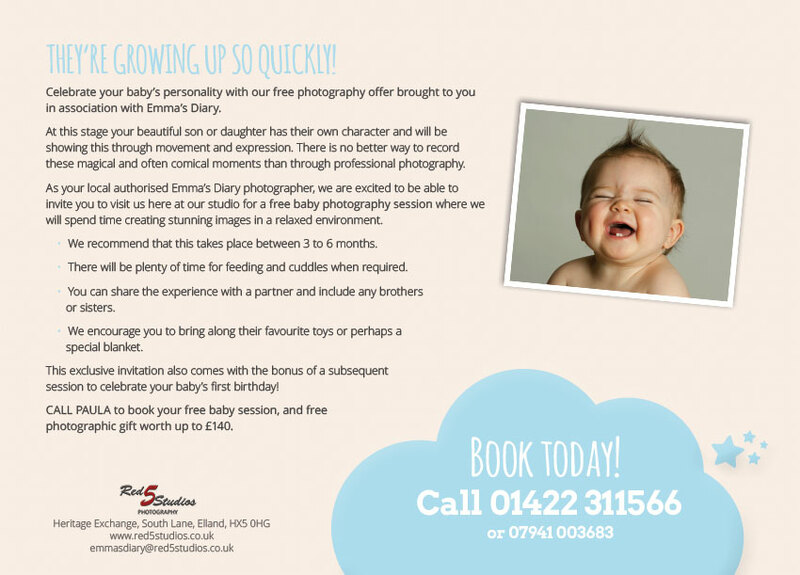 CALL PAULA to book your free baby session, and free photographic gift worth up to £140. A year in the life! 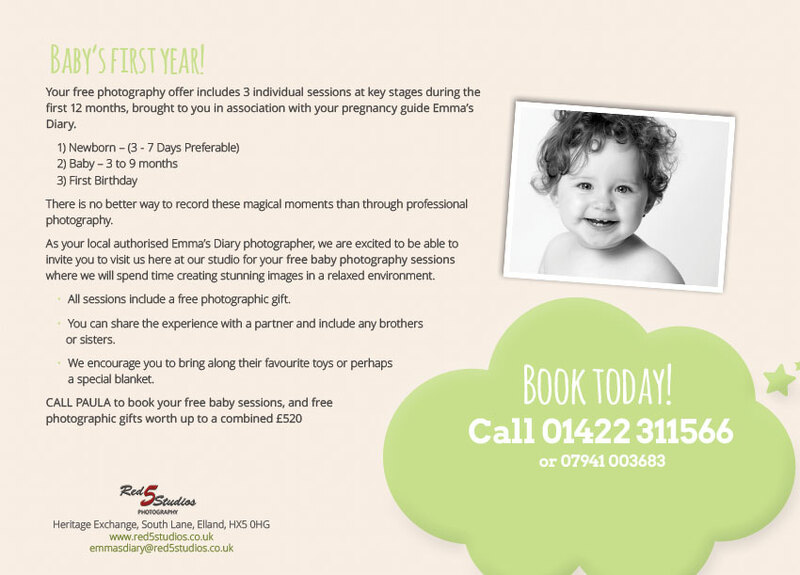 Your free photography offer includes 3 individual sessions at key stages during the first 12 months, brought to you in association with your pregnancy guide Emma’s Diary. 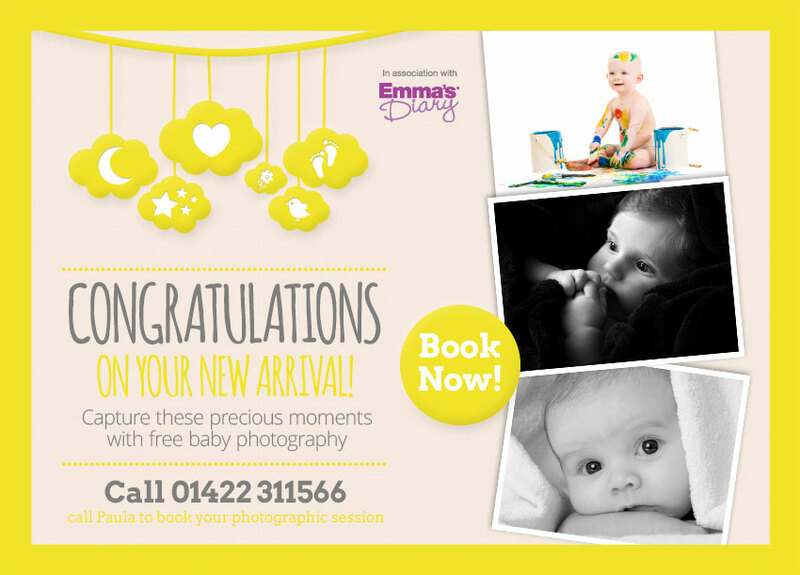 As your local authorised Emma’s Diary photographer, we are excited to be able to invite you to visit us here at our studio for your free baby photography sessions where we will spend time creating stunning images in a relaxed environment. All sessions include a free photographic gift. "NO HARD SELL - NO PRESSURE TO BUY"
A week after the shoot, view your photos back in the studio. From here you and the family can peruse your pictures in comfort. You can then choose to purchase a Disc, Frame, Canvas, Prints or nothing at all. "I cannot describe how fantastic Paula & Gary have been from the start to finish of our recent family photoshoot. My 7 year old daughter loves the camera, while my 5 year old son is very camera shy and was very uncooperative at the beginning of the shoot. But by the time Gary & Paula had worked their magic on him, you would have thought that he was used to modelling - he was a pro !!! For once, I've now got some superb family photographs that I am so proud of and I will be sharing them on my walls. The pictures are of fabulous quality, Paula & Gary are so friendly and helpful, I can't recommend them enough. I'll be back at some stage for sure"
"We booked a baby/family shoot with Red 5 Studios, and we thoroughly enjoyed every second of the photo shoot. Paula and Gary have a wonderful persona and make you feel very relaxed and welcome. Paula did a fantastic job of getting the right reaction from our 7 month old son to make sure we got the right shot. All the time both of them gave excellent guidance to us and we truly felt we were in the hands of professionals. We had a lot of fun the entire time, and the result shows in the pictures. We LOVE EVERY PICTURE and THANK YOU for making this a very special occasion to remember. We will be back and highly recommend Red 5 Studios"
"Thank you for the wonderful pictures taken of my teenage son. We have some of the standard 'on the mantlepiece' photos for the grandparents and some wonderfully atmospheric pictures of him with his saxophone. Everybody young and old is pleased. Not only that but my son loved the experience of going into the studio and everyone was so lovely to us throughout the process. And the pictures are excellent value too. I can recommend the services of Paula and Gary as Red 5 Studios wholeheartedly"